A little vanilla, kefir, cream and sugar are all you need on hand to be enjoying this delicious kefir ice cream. This is an egg free recipe which means no heating and no waiting for it to cool. Just place all you ingredients in your blender, blend until the sugar is dissolved then toss it into your ice cream maker. This ice cream is more like a vanilla frozen yogurt, a little tangy and a bit sweet. With the added benefits of the kefir, you can’t help but feel guilty for not feeling guilty! Place all ingredients into a blender. Blend until the sugar is dissolved. Immediately put into your ice cream maker or refrigerate until ready to use. How do I make kefir cream for this recipe? 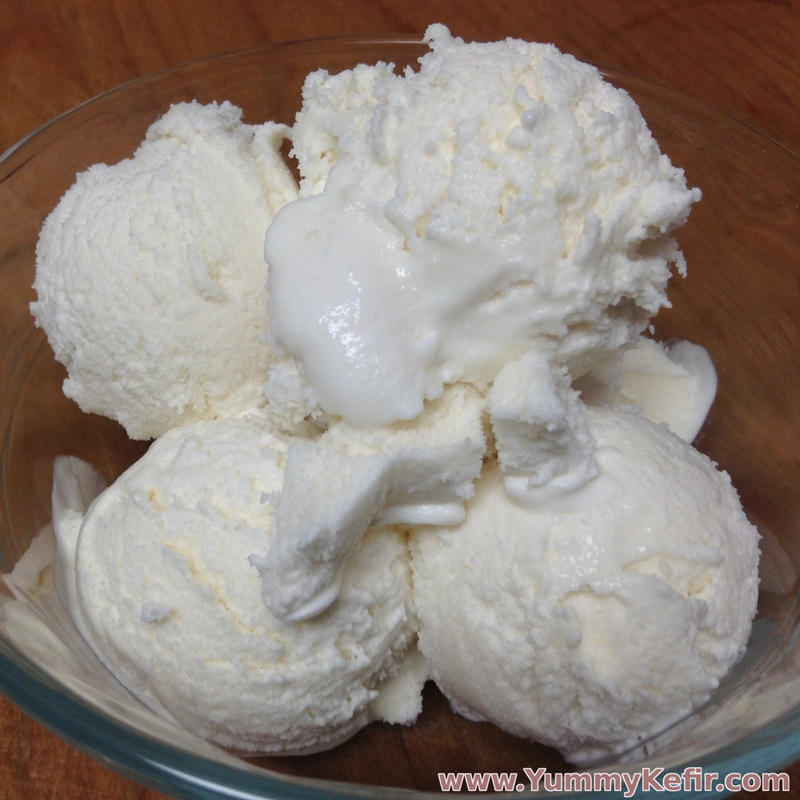 Visit this page to see how to make kefir cream. The first time I made this it was perfect. The next 2 times I had bits of butter in my ice cream! I’m going to try blending my kefir and sugar separately then adding my cream and hope that helps. Could I use honey instead? Do you have to use an ice cream maker or can you just freeze overnight in a container?